• Is there a Jezebel spirit working in the church choir? • Why do our efforts at reconciliation never seem to work? • Is there a demonic stronghold in our community that is keeping our church from growing? • Are our problems caused by evil spirits or is this just human sinfulness? • Our congregation just left the PC (USA). Finally we are free from that oppression, but now all hell has broken lose and we cannot seem to stay focused on Christ’s mission. What is happening? I get asked these sorts of questions all the time so I have decided to present a short course of teaching on spiritual warfare in the local church. I want to create a context for you to raise questions and for us to share our different experiences. We need each other’s prayers and discernment as so many of us find ourselves in these spiritual battles. Most often in Discerning the Times we deal with high level intercession and demonic strongholds blocking the advancement of the Kingdom of God into nations. We need to keep doing that, at least some of us who are called to engage at that level. It did occur to me, however, that I was neglecting a kind of spiritual warfare many of you are waging in your local congregations. Please see below a description of this course and the introductory video. From time to time, I will include teaching charts or other materials to supplement the videos. I will also call on people who have been battling in their churches against demonic strongholds to share with us. I have visited church after church where the Holy Spirit was demonstrably at work. Congregants were excited by their experience of the real presence of Jesus. Major growth followed and yet, after a time things seemed to fall apart. In due time these congregations found themselves enveloped in spiritual warfare, sometimes with devastating results. Often it seems that just when a congregation starts to grow in deep fellowship centered in Jesus Christ and begins to become effective in advancing the Kingdom of God, a counter-attack by Satan ensues to undermine this witness to the Gospel. • Leaders may be taken out of their positions by falling into immorality, deceived into making unwise decisions, or becoming over-controlling and manipulative. • Sickness or death may remove key godly people. • Breakdowns in communications may result; splits into warring parties may arise. • Controversies over trifles rend the fellowship asunder. 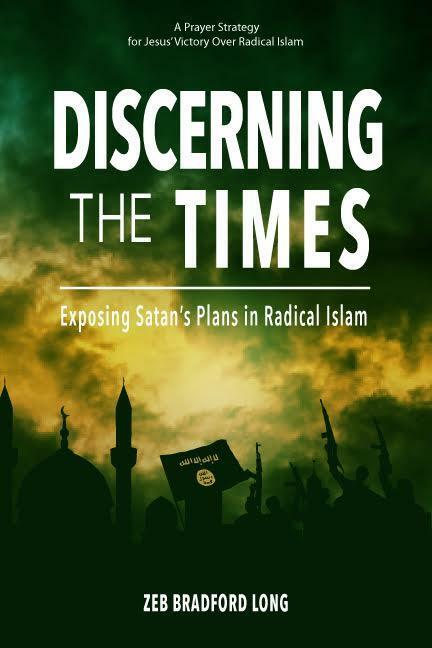 • Any number of other things may emerge to compromise a congregation’s witness to Jesus Christ and even threaten their existence as a fellowship. For a big picture perspective, we need only review the history of great revivals. There is no room here to enumerate that history. Suffice it to say that there are distinct and persistent patterns to Satan’s counter-attacks against the Holy Spirit’s revivals to advance the Kingdom. What we experience on the local congregational level is part of that larger pattern of the Lord’s ministry opposed by Satan’s wiles and destruction. Such discussion prompts me to offer this short series on discerning and dealing with strongholds that Satan may be building in your local expression of the Body Christ, that is, in your prayer group, Bible fellowship, mission team or congregation. Allow me to share several cases from my own personal and awful experience that may have meaning for you in your fellowship. 1. The move of the Holy Spirit in Taiwan at the Bible College. The Holy Spirit moved! Then everything fell apart. There were major splits in the faculty, some Holy Spirit- empowered co-workers fell into immorality and then into false teaching. The result was much of the good work was destroyed and Jesus was dishonored. 2. The large charismatic congregation in whose sanctuary I spoke 23 years ago before a packed out crowd of more than 600. Now, more than two decades later, the membership has shrunk to a struggling 40 or so people. What happened? When I was there they told me that they were dealing with what seemed to be a “Jezebel spirit” in control of the worship program and opposed to the Holy Spirit’s authority. 3. A number of years ago at PRMI there was a co-worker managing financial accounts who became deceptive in manner and procedure. As the Director of PRMI, it was naturally mine to deal with. When I asserted my authority, there arose major divisions in the Board and on the staff that nearly destroyed the ministry. 4. A small Presbyterian church located in the “bad part of town” is losing members in spite of the fact that the evangelical, Holy Spirit-empowered pastor preaches the Gospel truthfully to a substantial number of faithful and obedient disciples of Jesus. In all of these cases, the human factor was and is evident, of course. Still, much is explained when the analysis expands to include the demonic as well. The question I want to address is how we know if the problems we are having in our congregation or fellowship are due entirely to human sinfulness or whether there is a demonic dimension to them as well. So let’s address this question. But first, why it is important to sort this out? We must address the question of the demonic because if it is present, then all the normal processes of dealing with conflicts (which always arise whenever two or more people try to work together) are not effective. Matthew 18 church discipline simply does not work if the demonic has a footing. Loving people, listening to them, correcting them gently as discipline to win them back to obedient discipleship will have disappointing results. The reason is, in such a case we are met by demons intent on blocking the resolution of the problem. An entirely different sphere of engagement is thus required. Many churches have been helpless against Satan’s attacks because they have relied upon human standards and human weapons. The problem is that these spiritual entities are tangled up with and are working through human sinful beings in your church. It is not as simple as dealing with the spiritual realities—we have to work with the people as well. 1. How do you know there are evil spirits present and not just human beings? Discernment of spirits. 2. How do evil spirits work in the world? 3. How do evil spirits work to build strongholds in your church? 4. A case study: dealing with the “Jezebel spirit” in a congregation. 5. 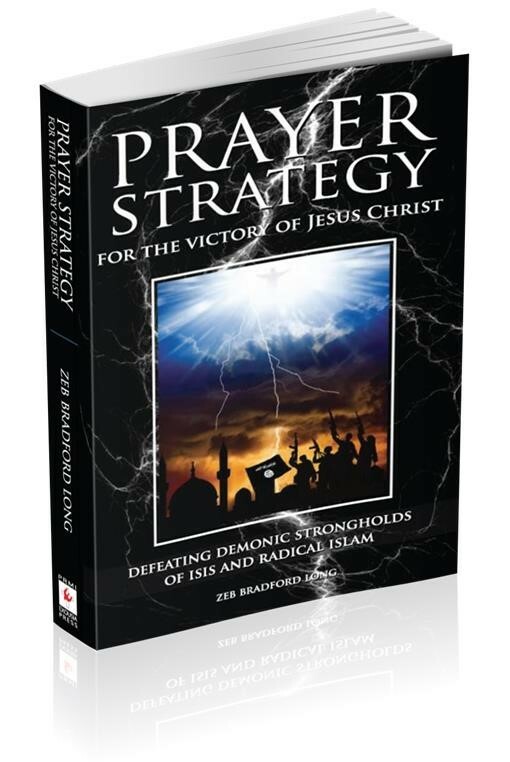 Tactics and spiritual weapons used to dismantle demonic strongholds. 6. Healing and restoring persons who have been used by evil spirits to build strongholds. 7. Healing and restoring congregations to service in the Kingdom of God. In addition to these videos we will provide other resources on-line to help you in your own discernment process. As you go through this, please comment on the blog, email me or send a note in response to the video and resources. If you have questions, I will attempt to answer them. Also, if you disagree with any of what I am saying, feel free to share with me honestly. I will use actual case studies, however details and identifies of the people involved will be kept confidential. Finally, if you would like to share your own situation with us for discernment, the team can and would like to talk you on the phone or over the internet. If you have any questions or comments or need prayer support in addressing these issues then please contact us at bradlong@prmi.org. Brad, I am really looking forward to your teaching on this subject. I have heard so many people talk about a “Jezebel spirit” in their church, but sometimes it seems that is used to describe anyone who is controlling or pushy (which describes most of us at some time or other). It will be helpful to hear about not only how to distinguish between demonic spirits and human sinfulness, but also what to do about it in a congregational context. Marvelous insight and thanks for beginning to give guidance in this area! I continue to pray and will respond to your posting with discernment out of my experience. Brad; I can’t wait to receive this training. I believe that this church is of course dealing with more than just one spirit. We have Free Masons, Witches, Islam,, Scientology, Mormonism, Divorce, Division. I have seen spirits walk up the center Isle of the church, turn and mock me. I have been attacked by some of these spirits and I have seen them stopped by using the name of our Lord and Savior, Jesus Christ of Nazareth, our God and only Master. I hope I receive some training in understanding better how to attack the enemy. I’ve tried 6 times to download the video with Internet Download Manager. Each time the video stops downloading at around the 99% mark and will not finish or allow me to retry. Strange. It would also be helpful to know the difference between intellectual analysis of dominating ideas in a culture and the discernment of stronghold spirits in our age and time. Brad, I too like Mary am looking forward to your teaching on this subject. I think it is the fact that other churches who have embraced the Holy Spirit and have then went through this attack and division that you mention here as the backlash and what keeps many churches from embracing this teaching. I am looking forward to know how to distinguish between demonic spirits and human sinfulness in the congregational context as well! This is so incredibly insightful and on target. Sadly, it resonates with regard to individual relationships as well. Makes so much sense. Kudos to you for addressing this with respect to our congregations. I think our ‘stream’ within evangelicalism has much to offer the Body on this topic, as I appreciate the balanced, thoughtful approach with which PRMI has characteristically addressed this. Thanks for doing this. I am very interested in this series of teachings. This is vital and much needed teaching. I will be encouraging others from our church to listen and learn. We have been through some hard times at our church and this will help provide insight on the past and protection, wisdom and discernment for the future.Thank you! It was a delight to see & hear you on this initial presentation. I’m looking forward to reconnecting with the topic in a fresh way and learning from you. Dear Brad, thank you for addressing this topic. I am sure that some of the blockages to our fellowship moving on have a demonic root. But most of our congregation (including those in leadership) are unaware of the nature of the demonic and would think we are crazy if we mention or try to address this with them. Is it possible to bring about spiritual change when this level of denial/ignorance is rife in the church leadership and wider congregation? Brad, toward the beginning of your introduction you made the statement, “Maybe sickness or death takes out a couple of key Godly people,” this really caught my interest as this is exactly part of the situation where I pastor. But, even as my interest was piqued, I struggle with the question: Since God is in control of life and death, doesn’t this mean ‘death taking out a key Godly person’ is God’s doing? I hope you will address (or clarify) this during the series.